We have adopted a lot of things from the West, one of them is Valentine’s day. As Valentine’s day approaches it can actually result in a lot of pressure. We are flooded with advertisements, promotional offers and the many Facebook status updates. For a lot of young people, there is the peer pressure to have a valentine or have a plan for that day, for some others, it can also be a day when loneliness is felt even more strongly than usual. Valentine’s day, hate it or love it, is difficult to ignore. I was on my phone scrolling down the Facebook page and I found a rather unusual status update by a user marking each day with a celebration like Rose day, Propose day, Teddy day, Chocolate day and so on. While12th Feb was meant for Hug day, 13th Feb was marked as kiss day and only then the long anticipated Valentine’s Day comes on 14th Feb. Now my question is what really is Valentine’s Day meant to be? 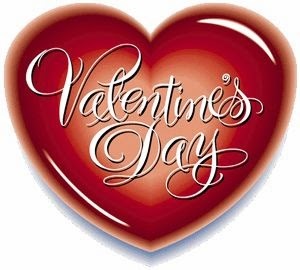 After all those days observed with such lovely deeds, what is the other word for Valentine’s Day? What does Valentine’s Day stand for? There are many legends about this mysterious St. Valentine. According to one legend, during the 3rd century in Rome, Roman Emperor Claudius II outlawed the marriage of young men. Realizing the injustice of the decree, St. Valentine performed marriages for young lovers. However, other stories suggest that when St. Valentine was imprisoned in jail for helping the Christians escape the harsh prosecution under the Roman Catholic, he fell in love with the jailor’s daughter. It was alleged that he sent a letter tagged as “From your Valentine” before he was executed. Whatever the legend maybe, St. Valentine displayed love, affection and friendship towards another. No wonder he became a great person after ages, and the day is celebrated as an event all over the world. His ideal character as a loving person and helping the needy continues to inspire people and his fame spread. Therefore by the middle age, it began to hold its grip over the people and in Great Britain, Valentine’s Day began to be popularly celebrated around the 17th century and by 18th century, it was common for friends and lovers of all social class to exchange small tokens of affection or handwritten notes. The notes were then replaced by printed cards by 19th century and then by 21st century, it became the 2nd popular holiday card with approximate 150 million cards sent annually after Christmas. This particular day meant for couples is celebrated on 14th February all over the world. There is exchange of cards, gift and also a time when a partner tells the other how much they mean to them. However, Valentine’s Day is not usually a great day to celebrate for some. We have a number of ‘singles’ and ‘widowers’ as well. Valentine’s Day seems to focus on ‘couples’, and for many, the day just brings back memories of loved ones long gone or being terribly lonely on a day supposed to celebrate love! There are a lot of people out there who have never felt the fruit of a motherly love or a partner’s hug. There are people out there, dejected and despised crying out to love them. If you tell a person you love them and mean it and prove it down the road, that is great, but if you just do it because you were stimulated by an event, I would say you are the greatest fool ever tricked. However, on the other hand, .why wait for one day out of the year to say you love them? Love is not a thing you should play with because God is Love and God doesn’t play dice. These days people try to serve God how they like and not how the scriptures says. We are supposed to live for God and celebrating this day won’t bring us closer to God, but it might get us closer to the person we give the present to. Therefore, our main goal in life should be to prove to God that we can be faithful and be with him/her forever and we can prove it to Him only if we do His way and not our way. Friendship and sending gifts is wonderful and God is not opposed to romance at the right time. At the end of the Facebook status update, he mentioned “so when is your Break-up Day?”Jokes apart, it sounds funny but it speaks a whole lot of the real drama we people are playing. A little act of love can make a difference. A person practising random kindness in the wilderness is more inspiring than a person unleashing his wealth in the open. So this Valentine’s Day, tell a person you love them. Tell them how precious they are to you and how they have changed your life forever, by who they are and by what they meant to you. Do a little act of kindness and love an enemy or don’t wait up for Valentine’s Day at all. Do it now. Do it today for the one you ever wanted to thank for all the big times, whoever it is, you may see them walking out the door and it might be the last time you see them walking because tomorrow may be too late and when you are done with it, you can be truly proud of yourself.